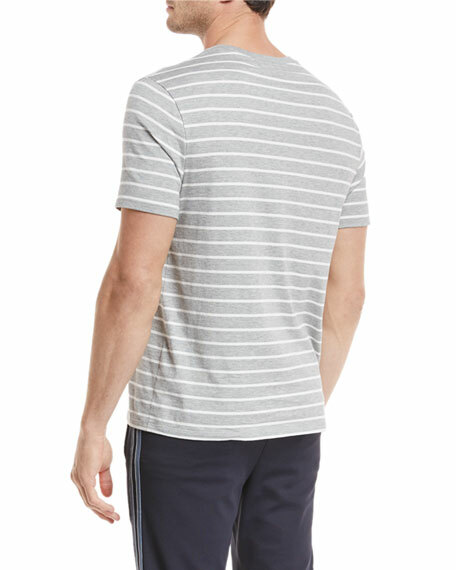 Vince T-shirt in heathered stripes. 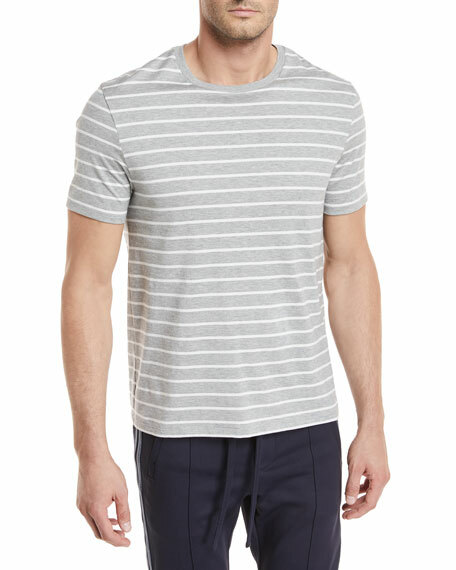 ATM Anthony Thomas Melillo T-shirt in striped knit. Crew neckline. Patch pocket at left chest. Straight hem. Modal/cotton/polyester. Made in Peru. Model's measurements: Height 6'1"/185cm, waist 32"/81cm, typically wears size M.
ATM Anthony Thomas Melillo henley T-shirt in soft ribbed knit. Crew neckline; three-button front. Long sleeves. Pullover style. Slim fit. ATM Anthony Thomas Melillo henley T-shirt in soft ribbed knit. Crew neckline; three-button front. Long sleeves. Pullover style. Slim fit. Micromodal/spandex. Imported. Model's measurements: Height 6'1"/185cm, waist 32"/81cm, typically wears size M.
Eleven Paris "Fool" T-shirt with front dog graphic. Crew neckline. Straight hem. Pullover style. Cotton. Made in Canada. John Varvatos Star USA T-shirt in heathered knit. Crew neckline. Long sleeves. Shaped hem. Pullover style. Cotton/modal. Imported. Model's measurements: Height 6'1"/185cm, waist 32"/81cm, typically wears size M.